Beth: Fall is my favorite season to visit Walt Disney World. 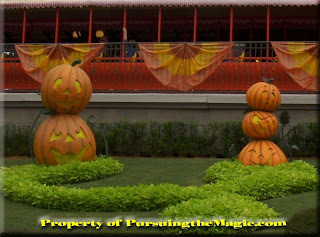 The weather has always been great for us, Magic Kingdom is decorated for Halloween and Epcot is host to its annual Food and Wine Festival. In less than four weeks, we will be there taking advantage of every fall activity Disney has to offer us. Mickey’s Not So Scary Halloween Party is something we have never experienced, but we will be on November 1st. In all honesty, I never thought we would go to this. I have always told my husband it is too expensive and our kids are too young. Well, this year, we gave in and bought tickets. I cannot wait! Emily is especially excited because we read that Shadow Man now kicks off the Villains Mix and Mingle castle show with her favorite song from Princess and the Frog. Hayley has said she can’t wait to see HalloWishes fireworks display. Joey is looking forward to the trick or treating. I am looking forward to all of it, including the Boo to You Parade! We are still narrowing down our costumes, but it looks like a Toy Story theme is in the works! Epcot’s International Food and Wine Festival is something else my husband and I cannot wait to experience. The last time we went during the festival our children were 3.5, 2and 10 months. I’ll just say that Epcot was not their favorite park and our experience of the festival was whizzing by the booths with two strollers wishing we were sampling all the delicious looking foods. This year, my parents are going to be taking the kids one night while we are in Disney. Rather than have an romantic dinner at California Grill or Artist Point for that night, like we usually do, we are going to have a date night in Epcot with our dinner consisting of samples from all of the marketplaces around World Showcase. Even better, our friends are traveling to Walt Disney World the same week and will be meeting up with us. I have never really been a big fan of Halloween, but for once, I can’t wait! This may be our best Halloween yet! 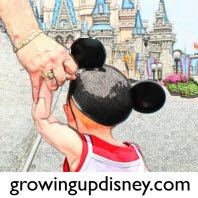 Corby: One of the most popular questions I get from people is“When is the best time to go to Disney World?” Hands down my absolute favorite time to go to Disney World is in the Fall! There is something magical about being in Disney with the Fall/Christmas decorations up, the special events, the cooler weather, and ironically usually lighter crowds! It really doesn’t get much better than that, in my opinion! Seeing the Magic Kingdom in it’s holiday finest is truly perfection, in my opinion and only adds to the whole magical experience. My family has made it a yearly event to go to Disney World in the Fall for the past four years. It’s a tradition I hope we’ll be able to continue for years to come. We started out in September, thanks to the enticement of the free dining promotion but we were quite surprised to find it was one of the hottest times weather wise, so we pushed it to October the following year. We have then pushed it back just a little further the past couple of years during the second week in November and this has been my absolute favorite time to go! September and October are great because you get to see the festive Fall decorations. 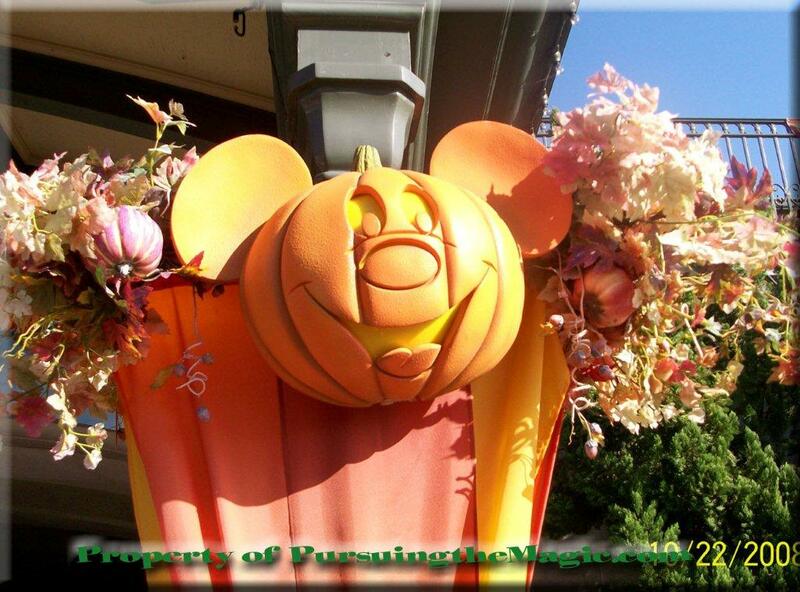 Main Street looks fabulous donning orange banners and pumpkin décor. 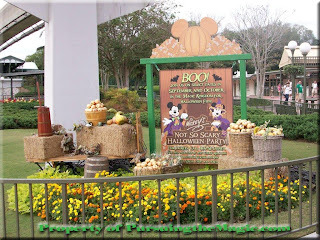 If you’re lucky enough to purchase tickets there is Mickey’s Not So Scary Halloween Party which starts at the end of September. Between the decorations and Halloween Party, you’ll definitely be in the Fall spirit! However, I will fill you in on my little secret and that is going the second week in November. If you time it right you can enjoy the Christmas decorations (which are absolutely fabulous), Mickey’s Very Merry Christmas Party, Osborne Family Spectacle of lights at Hollywood Studios, Downtown Disney’s Festival of the Masters and even catch the tail end of Epcot’s Food and Wine Festival with the Eat to the Beat concert series! And to top it all off, the weather is typically amazing, the crowds are light and you can usually take advantage of a great discount when staying on Disney property. I know we have used the free dining promotion each year and have become quite spoiled by it. Another perk to going in the Fall is kids can still enjoy some good swimming time since it’s Florida and the weather is mild, which is a definite bonus for my family. Thanks to Beth from Pursuing the Magic and Corby from Travel with the Magic for their personal tales of Walt Disney World in the Fall. We have one more article left in this series, so don't miss out. Please visit the Minnie Moms page for past articles and more information about these fabulous ladies. Really great stories from both, it is true it's such a great time to visit WDW there is so much going on..
Great! My family has a tradition of going right after Thanksgiving. We miss the Food & Wine Festival, but we think it's a great time to go.